I've downloaded and successfully installed Arabian Linux on one of my systems and I love it. The distribution includes both live and installable options and fits on a normal CD ROM. Before you install it, try to load the live version and try the Arabic programs on it including word editor, Arabic online dictionary and the Holy Quran Recitor. If you are convinced, then install it carefully so you won't overwrite any other partitions. You've been warned! 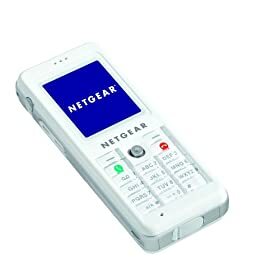 Amazon.com started selling the Netgear SPH101 Skype Wi-Fi Phone so you can pre-order it now. CNN: paper clip for house in online trading! Tom Cruise and pregnant fiancee, Katie Holmes are performing this method of child birth that prohibits spoken words to be uttered during the birth process, be it from the medical staff, the mom or anyone else in the delivery room! Google Watch : Google Snags Down Under Search Specialist: It is an ausie from a NSW Uni and he's got a new search engine technology :) Makes you proud, mate! Also Read: ConceptQ Pro a similar technology? ABC Shows Online :) Woohooo! BetaNews | ABC Takes Prime Time Shows Online: I love the idea. It is about time that network executives relize the potential of broadband. Love you ABC and love your execs :P Respect! The free shows start May 1st here. This article by Networking Pipeline speculates that Skype aims to enter the mobile market. Good for us :) I love skype and I love using it with my home phone. It makes calling overseas much easier and best of all, it is free! Windows Vs. Linux Smartphones! I currently prefer Windows for my mobile, but that does not mean I would go for anything Windows embedded. I prefer Linux for my router and DSR (digital satellite receiver). The reason for choosing Windows Mobile 5 is that with windows OS, there are a number of software and hardware integrations that are hard to come by from other Mobile OS options. Linux for other devices such as the router or satellite receiver makes more sense because you get more room to play with them by installing custom firmware and enhance their features beyond the manufacturer's embedded capabilities. I guess, there is no clear cut of what is better, choices should be made upon what features and capabilities are achieved by selecting a particular embedded OS. CitizenLab is a site that talks about censorship and how companies are collaborating with governments to achieve it!. It is amazing how much money and effort is put into this. Raaspect! Samsung's SCH-B600 10 megapixel cameraphone has been launched in CeBit. Some people I know didn't believe me when I said that there is an "Anycall" branded mobile phone from Samsung that will be sold in Korea in 2006... I dedicate this post to them ;) Link to the 8MP model Gallery.